Note: not for ML cross-country Leave the M61 at Jct8, follow directions towards Chorley and continue through the Chorley bypass (there are several roundabouts) until you see the Flat Iron Market Place on your right at a roundabout. Turn right on Union Street, go left at the T-junction onto the main Chorley high street and immediately right at the traffic lights. Turn right again as soon as you are able and the small front Astley Park car park is straight ahead of you. Note: not for ML cross-country Directions: Take M55 and M61 to Junction 8. Take the road to Chorley at the giant motorway roundabout. At a further roundabout (2nd or 3rd) turn right following the brown signs for Astley Hall along the B5252. At a further roundabout turn left through Astley Village and left again into the big car park. The race centre is in the Barron's Rest Pub to your right. Directions: See Mid Lancs website for a map. Take the A590 towards Barrow. Leave the A590 at signs to Dalton-in-Furness and drive through the town following signs for Barrow. This will take you on to the Barrow Road which after a while becomes Abbey Road. In about 2 miles look carefully for Dane Avenue on your right. Turn right on to Dane Avenue, bear left with the road , go straight across Hawcoat Lane and on to Thorncliffe Road. Park in Thorncliffe School which is on your left and walk across the road into the competition area, map 96 GR 711 202. BURNLEY TRACK & FIELD Directions: Leave the M65 at Junction 12 and turn right on to the A682 Colne Road. Turn right at the second set of traffic lights into Windermere Avenue. Follow this road for 600 yards and turn left at the T-junction on to Barden Lane. The track is 400 yards further on your right. BAMBER BRIDGE MID LANCS PRESENTATION BAMBER B'D CCMC Directions: Take the M55 - M6 and M61. Leave at J29 taking the M65 WEST. At the end of the motorway go north up London Way to the second roundabout and right on Brownedge Lane. The lane winds but follow it to just before the taffic lights at the end and turn left into Aspden Road. The club is on your left. CALDER VALE BLUEBELL RUN Directions: Take M55 and A6 north. Just before reaching the turn-off for Catterall and Garstang look for a brown sign by a garage. Turn right and follow signs along a complicated route (something like left,right,left,third right, right) into the centre of Calder Vale Village. Park in the mill car park at the bottom of the hill. The village hall is back across the bridge and upstairs on your right just along from the post office. COFTON PARK, BIRMINGHAM NATIONAL CROSS-COUNTRY CHAMPS Take the M55 and M6 south. The M6, then join the M5 (close to junction 8 of the M6). continue to junction 4 of the M5, come off at this junction along the A38 taking the Birmingham direction, continue a fair way until you come to a roundabout. Turn right at the roundabout and continue along the B4120 ( Longbridge car factory will be on your left hand side). Turn first right after the factory.... along Lowhill Lane and you are there! CONDER GREEN SUNDAY RUN Leave the M6 at Junction 33 and travel north along the A6. In 1 mile turn LEFT at the traffic lights in Galgate, pass under the railway bridge and fork left. This bendy road reaches a T-junction with the A588 just across from the Stork Inn. Drive down the lane beside the pub and park in the public car park at the lane end. FELL - ICGP HUTTON ROOF EITHER M55 - M6 north - J35 - A6 - A6070 heading for Burton in Kendal - turn right just as you enter Burton and drive about 2.5 miles on the secondary road (probably signed Kirkby Lonsdale) - turn left for a mile into Hutton Roof. OR leave M6 at J36 - A65 towards Kirkby Lonsdale for about 3 miles - turn right for 2 miles into Hutton Roof. FIREMEN'S RELAY RELAYS REGISTRATION: 5:45 - 6:45pm at Forest Gate Fire Station, FY3 9RA, at the north west corner of Stanley Park on North Park Drive. Meet here to get your number before jogging/driving to the start. START: Drive east along North Park Drive, turn right on to the busy East Park Drive and left along the Zoo road. Parking is behind the Zoo car park. SOCIAL & PRIZE-GIVING: Return to Forest Gate Fire Station where there is changing and very limited shower facilities. Food, bar and prize-giving are in the games room. GOLDEN BALL 5K Take the M55 and M6 to Junction 34. Turn right and drive back through the centre of Lancaster following signs for Morecambe. Turn left at the roundabout signed Overton and continue straight on at the next roundabout. The Golden Ball Pub is very pleasantly situated right on the riverside with outside tables. BEWARE: traffic jams into Morecambe - leave early. GREEN DRIVE FIVE LYTHAM FROM PRESTON or BLACKPOOL - Approach Lytham on the A584. At the mini roundabout near the windmill turn into Station Road. Over the bridge this becomes Park View Road. Turn right into Wykeham Road and park in St. Bede's High School. FROM M55 - Leave the M55 at Junction 4. Turn left on the A584 towards Kirkham. Go over the roundabout and turn right at Traffic lights at Peel Corner. Take the immediate left towards Ballam and turn right at the T-junction. After passing Green Drive Golf Club on your left take the left fork and first left into Norfork Road. Take the second right into Talbot Road and park in St. Bede's High School. HAIGH HALL 5 MILES SUMMER EVENING SERIES Leave the M6 at Junction 27. Take the A5209 to Standish. Turn right at the traffic lights in the centre of Standish on to the A49. Go for approximately 3 miles south. Just after you pass a large roundabout look for a minor road to your left. Follow it down and to the left before forking right up hill where the surface deteriorates. The start is in the Rugby Club. HEATON PARK MANCHESTER Directions:Take the M6 and M61 to the end of the M61. Go eastbound on the M60. (Do NOT go on the M62 at J18). Leave the M60 at J19 and turn right on Middleton Road towards Manchester. Drive along Middleton Road with Heaton Park on your right for 0.75 miles. Go through the first set of traffic lights and turn right at the second set on to the A6044, Sheepfoot Lane. In half a mile turn right in to the car park. SUNDERLAND Directions: Take AIM to J62 Follow 690 (signposted Houghton le Spring & Sunderland) to A19 Travel North on A19 taking left turn on A183 to Penshaw Monument. Take 1st Exit off Roundabout to entrance to Herrington Country Park. Marquees will be available for changing – no showers are available. Registration will be in a small signposted marquee. Parking is available within the park, no fee will be charged but parking must be as directed by Event Control Stewards. Presentations will be at 1.45pm and 4.45pm in the marquee. 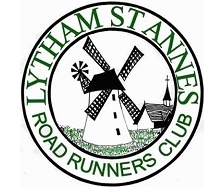 HEST BANK SUNDAY RUN Leave the M6 at junction 35 and drive back south along the A683 towards Lancaster and then follow the A6 north (this involves first turning south through the town and crossing the western bridge before reaching the A6.) In about 5 miles at traffic lights take the B5105 towards Morecambe. Look out shortly for the Hest Bank crossing on your right, cross the level crossing and park on the sea front. HORWICH JUBILEE SERIES Take the M55, M6 and M61 to Junction 8. Follow the signs to Chorley centre and then the bypass roads south. By Morrison's superstore at the southern end of the town centre turn right and left on to the A6. Take the left fork on to the A673 and at traffic lights in the centre of Adlington turn left, cross the motoreway and border the reservoir. Turn left across the causeway and the Bowling Club, where the registration is, is on your left immediately after the reservoir but you will have to go further on to find parking where you can. LANCASTER UNIVERSITY MID LANCS CROSS-COUNTRY LANCS.& MORE Leave the M6 at Jct. 33. Turn north (right) on the A6 and travel until Lancaster University appears on your right. Take the main drive in (ignore the route to the golf course and hotel) and continue to the roundabout at the top of the hill. Look for visitor parking either to the left or right. If full continue to the back of the University where there is ample parking. LAWSON'S GROUND, BLACKPOOL MID LANCS CROSS-COUNTRY Take East Park Drive (right at the small roundabout at the south end of Stanley Park). Lawson's Ground is on your right in about 100m. There is limited parking on Lawson's Road and the surrounding streets. Otherwise you can park in the Sports Centre or, on payment of a fee which allows you to use the toilets and cafe, the Model Village car park. LITHERLAND MID LANCS. T&F Take M55, M6 south and M58 west. Continue to the end of the M58. LITTLE BISPHAM INTERCLUB GRAND PRIX Travel north on the Promenade passing Red Bank Road, Bispham. After passing the Norbrek Hydro Hotel take the road left which crosses the tram tracks. Park some way up this road. PENDLE TRACK & FIELD Directions: Leave the M65 at Junction 13 and take the A6068 towards Padiham. The entrance is first left on Surrey Road. PENDLE HILL ICGP FELL RACE & LANCS FELL CHAMPS. Directions: DIRECTIONS: M65 - J13 - A6068 - turn right on Newchurch, Barley road. PRESTON, COTTAM TRACK & FIELD Directions: Take the M55 and leave at the A6 junction. Turn right towards Preston and immediately after the roundabout turn left and left again following signs for Ingol. The Sports' Arean is in about 2 miles on your right. RIPLEY SUPPER RUN Directions: Take M55 and A6 north to the large roundabout at the southern enterance to Lancaster City. Take the FIRST exit left so that you are now driving south. Look for the entrance to Ripley School on your right in about 300yds. SALWICK INTERCLUB GRAND PRIX Directions: Take the Preston Road, the A584, through Freckleton to the trafic lights onto the A583. Turn left and almost immediately right into Clifton. Take the second right by the windmill and follow the perimeter fence of Salwick to the east gate where there is plenty of parking. SEFTON PARK UKA SERIES / MID LANCS CROSS-COUNTRY Drive to the end of the west bound M62. Take the left hand lane into Queen,s Drive, the A5058, and continue until Queen's Drive reaches Allerton Road at approx. 2 miles from the M62. Turn right along Allerton Road and in about a mile left onto Ullet Road and shortly later left onto Croxteth Gate to come into Sefton Park at the north end. Park on the boundary road. Entry to the park nearest the start is at GR372882. SHERDLEY PARK ROAD RELAYS Leave the M6 at J23, take the A49 towards Newton-le-Willows and turn right on the A572 to St. Helens. Look for signs to the south-bound A570. Sherdley Park is on your right in about 2 miles. SKELMERSDALE CROSS-COUNTRY Leave the M6 at J26, take the M58 towards Liverpool and leave at J5. Follow signs to Beacon CP onto the A577 and then left onto Mill Lane which later becomes Beacon Lane. Turn left into Elmer's Green Lane in about 1.5 miles. Parking is first left into the overflow car park. STANLEY PARK BW&F'S INTER CLUB GRAND PRIX From the A583 follow signs to Stanley Park and the Zoo, turn left at the fork along West Park Drive and park near the leisure centre. Assemble in the track enclosure in preparation for the start on the path outside the north exit. The social is upstairs in the leisure centre. Park on the roads surrounding Stanley Park and enter by the gate just south of the Sports' Centre. ST. ANNES SEA FRONT LSARRC'S INTER-CLUB GRAND PRIX Start is just behind the pitch and putt near Pleasure Island. The most convenient car park is the one behind St. Annes Swimming Pool, free after 6pm. SUTTON PARK BIRMINGHAM Leave the M6 at about Junction 7. Sutton Park is now approximately 4 miles to the east and there should be some way across. TOCKHOLES GALA RACE INTER-CLUB GRAND PRIX FELL Take the M55 - M6 - M61 - M65. Leave the M65 at J3 and take the A674 north towards Blackburn. In just over a mile in Feniscowles turn right at a roundabout on the A6062 and right again at the next roundabout to Tockholes on a small B road. In another mile at crossroads which signed Tockholes turn right. Tockholes Village is a mile and a half south of the junction. Look for parking or gala signs. TWO LADS HILL RACE HORWICH RMI Take M55 and M61 at J6 to the A6027 turning left towards Horwich and left again on the A673 into the town. At the big roundabout by the Crown pub on the Eastern edge turn back onto the B6226 and look for the Bridge Hotel a half mile further along. Alternatively you can cut through between the A673 and the B6226 if you can spot the road with the college on it. The pub is then to your left on the B6226. CLAYTON LE MOORS HARRIERS Leave the M65 at Junction 9 and take the A679 east heading for Halifax. In about 1 mile turn right on the A646 Continue for 3+ miles (going straight across at traffic lights at a cross roads) to traffic lights at the T- junction with the A671. Turn left and continue to the Towneley Park entrance at the bottom of the hill, GR848322, ignoring signs to the golf course and picnic site. To reach the car park drive along the main driveway but before reaching the hall, turn left at a sign to the garden centre. Renovation work to the usual car park has reduced the space available and two alternative car parks will be used. Park as instructed by the marshals and carefully and close together. Share cars where possible. Do not park by Towneley Hall which is reserved for the general public.